Hypno … BABIES?Yes! These are babies whose parents choose to easily and naturally prepare for childbirth using the Hypnobabies method of Hypnotic Childbirth, which some might call “hypno-birthing”. Hypnobabies however, is very different in that at Hypnobabies we teach real medical hypnosis techniques, creating an automatically peaceful, relaxing and more comfortable pregnancy, a calm confident Birth Partner, and an easier, much more comfortable natural birthing for our Hypno-Mom. Did you know?There are people that have life-threatening allergies to anesthetics who successfully undergo medical and dental surgery with hypnosis as their only anesthesia! If hypnosis can create effective pain elimination for surgeries of all kinds, we know it can work for childbirth, and it does quite well. Your mind is much more powerful than you may realize, and right now you’re using a smaller percentage of it of it than is possible. You can easily tap into that gold mine and you’ll be amazed at what you can do! 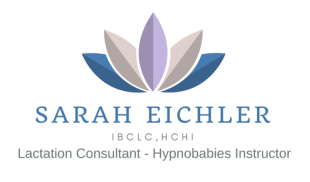 Hypnobabies is a very comprehensive, unique and successful childbirth hypnosis program for creating an easier, more comfortable birth experience. Home Study Courses, individual MP3 tracks and Hypno-Doula Training products are available. To order or learn more, Click Here. You can supplement your Home Study course by utilizing Hypnobabies, “Home Study Advantange.” This is a private session which provides you and your Birth Partner with detailed information on using your Hypnobabies “transition”, “pushing” and “using hypnosis for medical procedures” techniques. The Home Study Advantage class also covers the role of the Hypno-Birth Partner in pregnancy and childbirth, and allows you to practice your hypnosis cues and techniques in a real Hypnobabies Birthing Rehearsal.